This is what happens when you crank up Godzilla. Tuners have been upping output on the even since Godzilla broke cover some ten years ago. The original supercar killer can withstand serious performance upgrades, but German tuning house Wheelsandmore, better known for its , decided to dial up the power to levels it considered to be safe to handle on the track, not the drag strip. 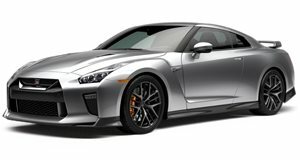 With 570 horsepower and 470 lb-ft of torque, the Nissan GT-R is a formidable proposition without any modifications, its twin-turbo V6 helping to propel the Japanese coupe from standstill to 60 mph in less than three seconds. Wheelsandmore offers owners the chance to push their rides even further with no less than five performance upgrades. Stage 1 adds a remapped ECU and F1 air filter kit that combine to boost output to 605 hp and 516 lb-ft of torque. Stage 2 takes things even further with the addition of sports catalysts to generate 630 hp and 590 lb-ft of torque. With a modified exhaust system and catalyst replacement pipes, Stage 3 ups power to 650 hp and 612 lb-ft of torque, while Stage 4 sees the turbochargers replaced and more powerful gas pumps installed to get approximately 700 hp and 627 lb-ft of torque. The daddy of the upgrades is Stage 5 – known internally as CrankZilla – that adds catalyst replacement tubes and a remapped ECU to squeeze 740 hp and 664 lb-ft of torque from the V6. Exterior mods include a set of 21-inch three-piece alloys finished in bronze and copper coloring, while KW height-adjustable suspension lowers the GT-R by up to 30 mm.